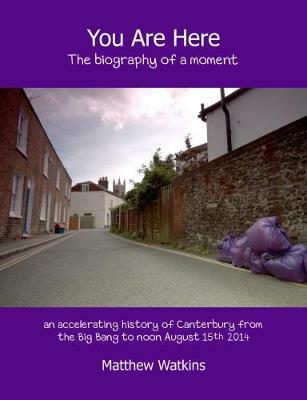 'You Are Here: The Biography of a Moment' is an accelerating history of Canterbury from the Big Bang to noon August 15th 2014. Based on the mathematical theorems which have long preoccupied Watkins, this book is simply a new form of history. Watkins is, like many ground-breaking seers, a respected mathematician and academic. Come along ans lose what Blake called the 'mind-forged manacles' of borrowed thinking.